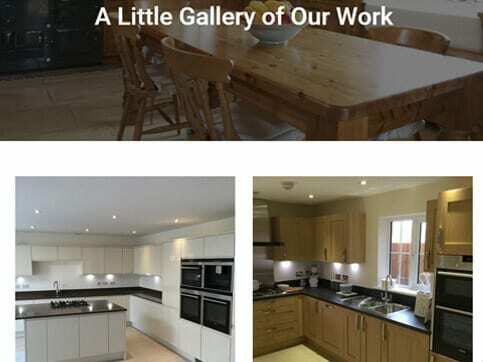 The kitchen fitting company ‘Cotswold Contracts’ needed somewhere to showcase their handywork with all of the different kitchens that they have-and will-fit. We helped them design a website that let them build up their gallery with every picture they add. 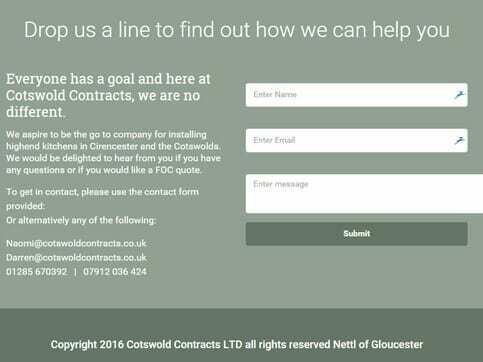 To fit Cotswold Contracts vision of their perfect website, we built them a one page Nettl :one website with an easy to read ‘How to get the perfect kitchen’ guide at the bootom of the page. This website is easy to navigate and pleasing to look at with its perfect balance of text and pictures.